There is no bigger challenge for organizational change management in the contemporary world than achieving greater sustainability. The challenges associated with sustainable development are multifaceted, including criteria pertaining to the delivery of environmental, social, ethical and economic results. Creating sustainable value requires companies to address issues that relate to pollution and waste, created by industrialization; to respond in a transparent manner to the challenges increasingly raised by the civil society, namely NGOs; to invest in emerging technologies that provide innovative solutions to many of today’s environmental problems; and to effectively respond to the challenges of increased poverty and inequality around the globe. On the other hand, to create shareholder value, managers must focus not only on cost reduction and risk control, but also on fostering innovation, enhancing corporate reputation within external stakeholders, and establishing a credible growth path for the future. The current global financial crisis has left few untouched: unprecedented unemployment figures, public deficits, bankruptcies, redundancies, austerity regimes, and governments bailing out banks all over the globe. World confidence is at a record low. How can management scholars encounter solutions for the dilemmas created by this scenario of change in which they can manage to change sustainably? This book provides some answers to these pressing questions. 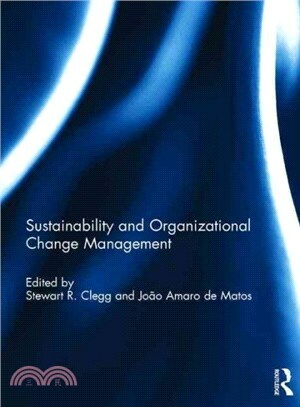 This book was originally published as a special issue of the Journal of Change Management. Stewart Clegg is Executive Director of the Centre for Management and Organization Studies and a member of the Management Discipline Group at the University of Technology Sydney, Australia. He is also a Professor at Nova School of Economics and Business, Lisbon, Portugal, and Strategic Research Advisor at Newcastle University Business School, UK. Joao Amaro De Matos is Associate Dean for International Development, Ph.D. Program Director, and CEMS Director, at Nova School of Economics And Business, Lisbon, Portugal. He is also affiliated with the Getulio Vargas Foundation, Sao Paulo School of Business, Brazil.